In the not-so-far future when electric vehicles (EV) rule the road, don’t expect to sit around in line waiting for your battery to charge. That’s because electric automaker Tesla recently filed a patent for a mobile battery swapping technology that could replace a depleted battery in under 15 minutes. 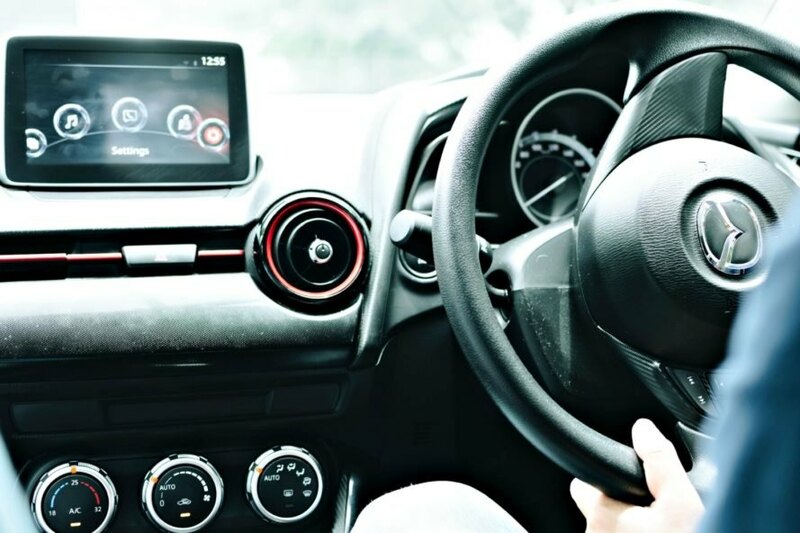 In 2013, the company toyed with the idea of building stationary rigs that can replace a car’s battery pack. However, that idea never took off. Now, the EV maker is improving on the concept and has filed a patent application for a more compact, mobile version that would be placed in strategic locations where Superchargers aren’t always available. 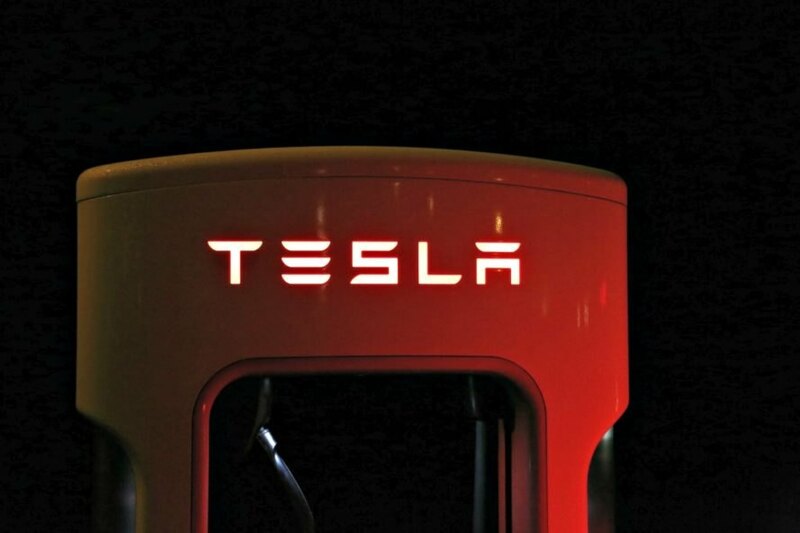 As Elektrek reports, Tesla’s original system was designed to be autonomous, while the newer one can be operated by technicians. Additionally, the original battery swap service claimed a 90-second swap, whereas the new one says “less than fifteen minutes” is more plausible. 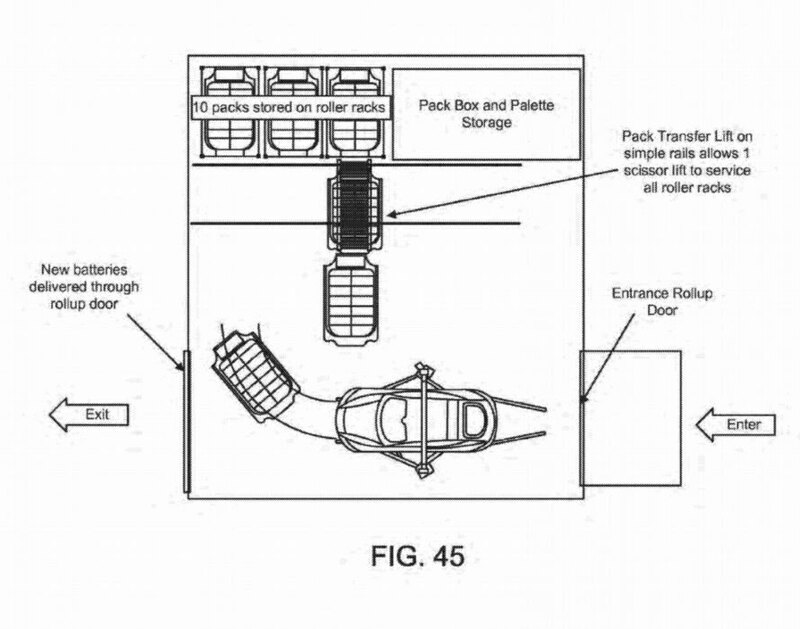 As can be seen from the application figures, the patent application references swapping Model S and Model X battery packs. Both vehicles’ battery packs have been designed to be easily swappable. Model 3’s battery pack is not, on the other hand. Because the company aims to expedite the process in 15 minutes or less, it is unlikely the system will apply to more complicated swaps. When Tesla CEO Elon Musk last mentioned the battery swap system, he said it would likely be developed to support commercial fleets — if pursued at all. Now that plans for Tesla’ all-electric Semi-Truck have been shared, Musk’s vision is coming into focus. 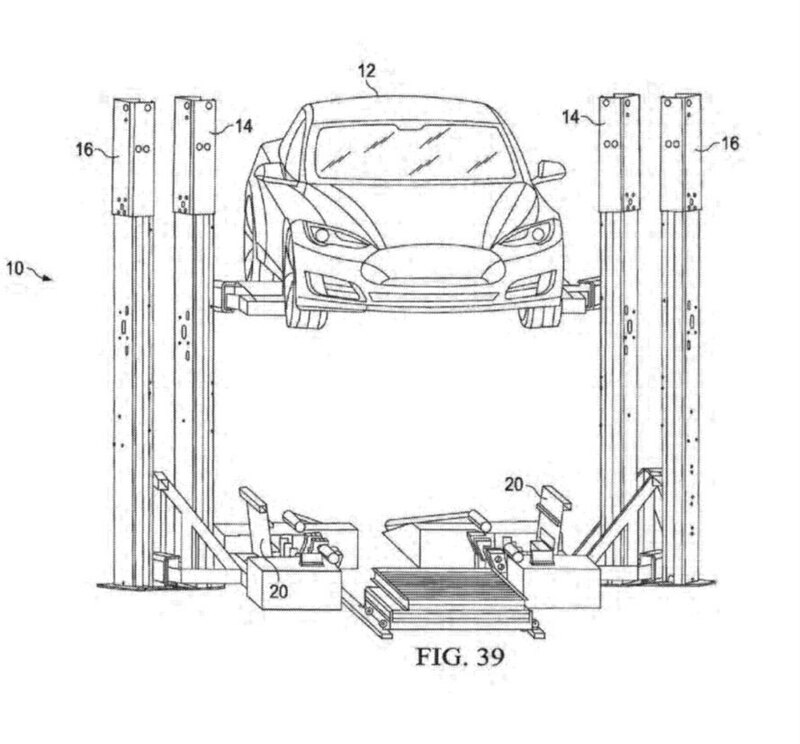 Tesla recently filed a patent for mobile battery swap technology which will expedite the process of exchanging EV batteries.